<b>** TO VIEW THE MEANINGS AND USES OF THE DROPS, VISIT OUR BLOG - </b> <a href="https://drreckeweg.wordpress.com/2014/10/16/dr-reckeweg-homeopathic-drops-uses-and-benefits"><b>CLICK HERE.</b></a><br> <br> <b>Dr. Reckeweg</b> is a family-owned business whose origins can be traced back to the turn of the century. 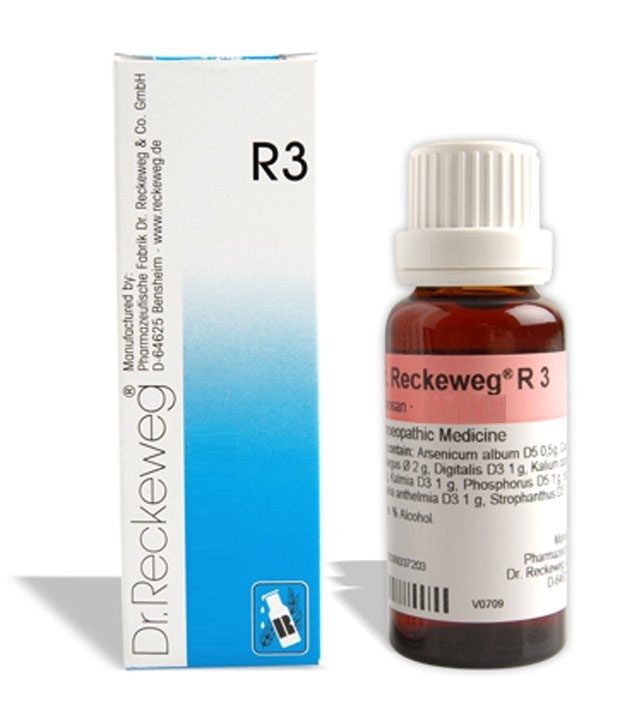 Their <b>drops</b> are produced from raw materials of the highest quality and are strictly manufactured in accordance with the German Homeopathic Pharmacopoeia, the European Pharmacopoeia and comply with international production standards.<br> <br> <b>INGREDIENTS:</b><br> Ingredients: Arsen alb D5, Cactus D2, Digitalis D3, Kalium carb D3, Kalmia D3, Phosphoros D5, Scilla D2, Spigelia D3, Strophantus D3, Creatagus mother tinct. Ingredients: Arsen alb D5, Cactus D2, Digitalis D3, Kalium carb D3, Kalmia D3, Phosphoros D5, Scilla D2, Spigelia D3, Strophantus D3, Creatagus mother tinct.